Finally, a well designed solution to studio-style living. The Contortionist bicycle. 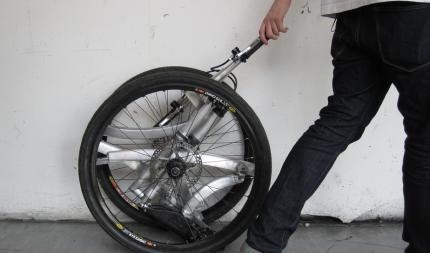 London-native Dominic Hargreaves, unhappy with the available options, designed this folding bike himself (true DIY spirit). 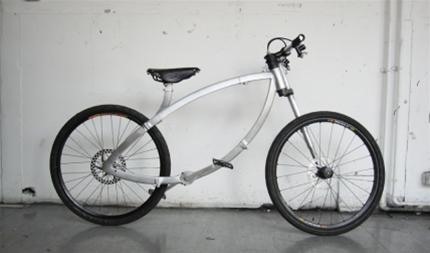 "I couldn't find a folding bicycle I liked. I wanted something that could take a bit of punishment and that you could have fun with. So I made one myself." Dominic's bike is the ultimate bender and can survive quite a bit of punishment. It's rugged enough for the road and compact enough for the abode.